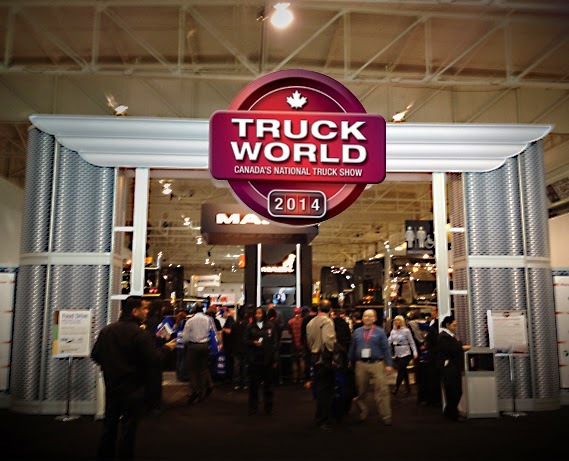 Last week, Westport was at Truck World in Toronto, exhibiting the Westport iCE PACK™ LNG Tank System at Canada’s National Truck Show. The event features over 300 exhibitors including trucks, trailers, equipment, tools, technology and services for the trucking industry within 300,000 square feet. There was significant interest in natural gas technology and infrastructure from a broad range of attendees which included fleet managers, students and drivers, fuel infrastructure providers and partners. Attendees asked Westport’s Eve Grenon-Lafontaine, technology commercialization manager, and Heather Kerklaan, fuel marketing liaison, a range of questions about the Westport iCE PACK such as engine compatibility, its benefits for natural gas engines, and where it can be purchased. 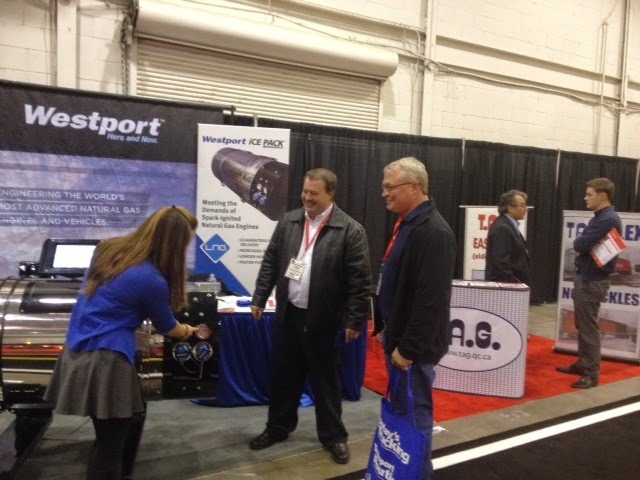 Other queries for Westport representatives at Truck World included the difference between compressed natural gas (CNG) and liquefied natural gas (LNG), LNG station location and access. Eve Grenon-Lafontaine shows the Westport iCE PACK™ LNG Tank System to Minimax Express Transportation's Marc Poirier and James MacPherson. Eve says there was a lot of interest in natural gas technology from attendees at the 2014 Truck World event at the Westport booth. So You’re EPA & CARB Certified, So What?